There are arguments for remaining in the EU and arguments for leaving. But there is no case whatever for giving up the benefits of remaining without obtaining the benefits of leaving. When Tony Blair and Boris Johnson unite in their condemnation of the “deal” under which Theresa May proposes that the U.K. should leave the EU, you know something has gone badly wrong. The withdrawal agreementis less a carefully crafted diplomatic compromise and more the result of incompetence of a high order. I have friends who are passionate Remainers and others who are passionate Leavers. None of them believe this deal makes any sense. It is time to think again, and the first step is to reject a deal that is the worst of all worlds. 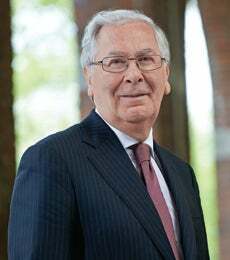 Lord Mervyn King is the Alan Greenspan Professor of Economics and a professor of Economics and Law, a joint appointment with New York University School of Law.